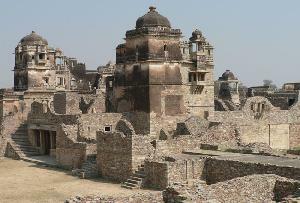 One of the prominent tourist attractions in Chittorgarh, Padmini’s Palace narrates the story of the Cleopatra of India-Rani Padmini in its design. Also known as Rani Padmini’s Palace, it flaunts a three-Storeyed structure, which has its outer walls painted white and it overlooks a pleasant lotus pool. 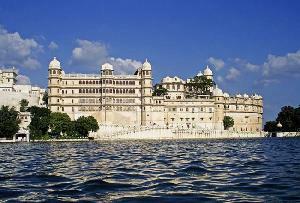 Surrounded by water, the architecture of the Palace is somehow influenced by the Jal Mahal of Jaipur. History has it that Alauddin Khilji was smitten by the beauty of Rani Padmini and he used the surrounding water to catch the glimpses of her. His efforts to possess her resulted in the death of the Queen’s husband and her committing Jauhar. Today, the famous Padmini palace stands as a promising symbol of beauty, valor, honor and tragedy of the past of Chittor. 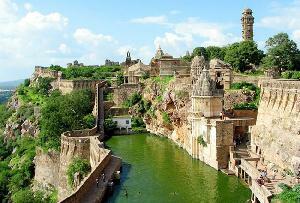 Chittorgarh is traveled a lot for its world renowned monuments. Apart from Padmini Palace, one can visit the Chittorgarh fort, Vijay Stambha, Kirti Stambha, Sanwariyaji temple and Meera temple in its vicinity.